Welcome to Cyber Monday! 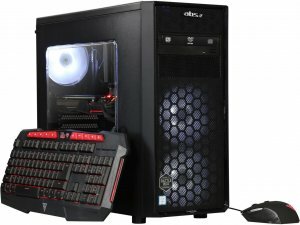 There are a big old pile of deals on Newegg.com that we wanted to share with you, from full systems to components to peripherals. We’ve rounded up some of the very best below. 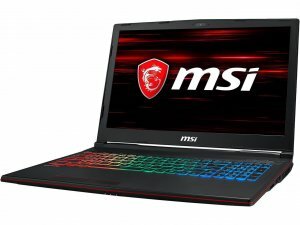 This 15.6” gaming laptop comes with a six core i7-8750H, 16GB of DDR4 RAM, and a GeForce GTX 1070, which makes it very competent for 1080p gaming. It also comes with a 1080p 120Hz screen with 3ms response time, as well as an HDMI port capable of outputting 4K @ 60Hz. Don’t expect to play 4K at high settings at 60 fps though – that’s a tall order even for this excellent system. 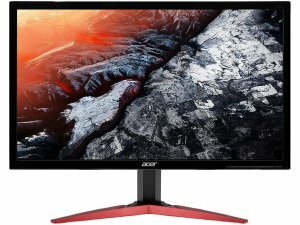 Folks looking for ripping fast 1080p or 1440p gaming, or ready to dip a toe into the world of 4K gaming, should give this build a look. It comes with a GTX 1080, which is a great bang for the buck, especially when you consider that the next step up, the GTX 1080 Ti is only incrementally better, and costs almost as much as this entire build. The included i7-8700 is locked, but if you’re in the market for pre-built systems, you’re probably not the overclocking type anyway. It also comes with 16GB of RAM, a 240GB SSD, and a 1TB HDD for media and general storage. If you want to make sure that all your games have the fastest possible load times, take a look at the Crucial SSD special below! The Vega 64 is the flagship of AMD’s GPU line, and it’s coming in at a pretty decent price here. The GTX 1080 outperformes it, which made it an illogical choice at its initial MSRP of $500, but its sale price is more than justifiable. It sits right between the GTX 1070 and GTX 1080, and now the price matches the power. Keep in mind that it’s a bit power hungry, so be sure to have a PSU that can handle this thirsty beast! It also comes with a redeemable coupon for Tom Clancy’s The Division 2, Resident Evil 2, and Devil May Cry 5. 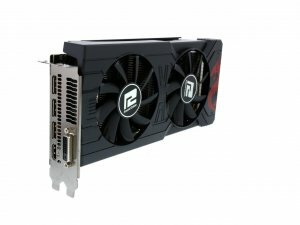 Folks on a budget should consider the RX 570. 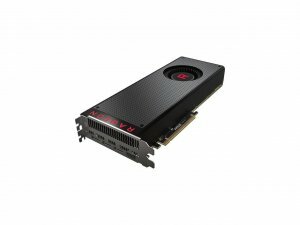 This GPU is only slightly slower than its competition, but comes in at a significantly lower price point. Price-conscious gamers looking to game at 1080p should definitely give this one a look, especially when you consider that FreeSync monitors are much cheaper than equivalently sized G-Sync monitors. If you haven’t picked up an SSD yet, you’re missing out. 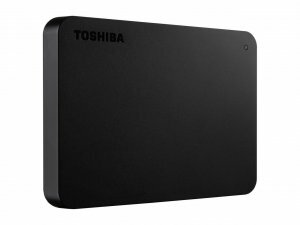 Laptop users with a 2.5” HDD can upgrade to this SSD (though be sure to check your particular model’s compatibility first!) while desktop users can add this drive to their existing towers to ensure that their games have lightning fast loading times. 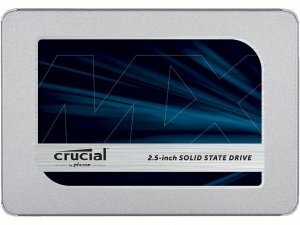 If you’re in the process of building a new PC, this will make a great boot drive. You can look forward to sequential read/write speeds up to 560/510 MB/s. I recently threw an SSD into a nine-year-old Lenovo laptop, and it made it feel brand new. It still does work for me as a backup DJ laptop. 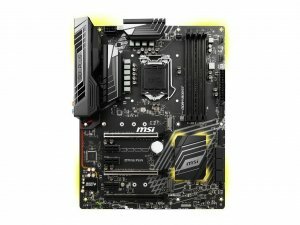 While the Z370 chipset isn’t the latest and greatest anymore (that honor belongs to the Z390 chipset), it’s still high-end enough for the most demanding gaming builds. This unit has a socket for 8th gen and newer Intel CPUs and customizable Mystic Light RGB LEDs, and as the name implies, it’s SLI-compatible. It’s also packing two M.2 slots for people who want to max out their high speed storage. Folks with high end NVIDIA GPUs should give this one a look. 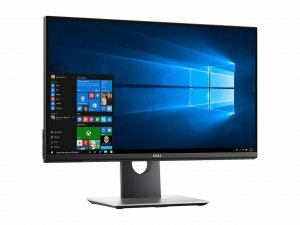 Dell makes terrific monitors, and this 2K model comes with G-Sync at a stellar price. It’s got a 165 Hz refresh rate and 170 degree viewing angle with 16.7 million colors and 1ms response time. The stand also allows you to rotate the screen 90 degrees, into portrait mode, for folks who like to look at code and read websites that way. Folks with AMD RX GPUs will want to pick this one up. The 144Hz refresh rate paired with FHD resolution is a winner. Its Freesync feature means that you’ll never have to worry about tearing or V-Sync ever again. If you’re a racing game fan, you owe it to yourself to get a racing wheel with force feedback. 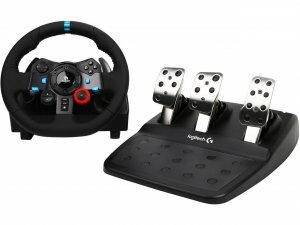 This Logitech pedal and wheels set is a great starting point for getting into sim racing. At this price point, it’s particularly alluring because it includes a clutch pedal and is compatible with the affordable (compared to its Thrustmaster competition) Force Shifter. But keep in mind that the shifter is not necessary – you can shift with paddles mounted on the wheel itself! A simple little USB 3.0 external HD is a great thing for any gamer to have. Whether you’re trucking around movies and music to friends’ houses, expanding your game console’s storage for screenshots and videos, or backing up critical data, this bus-powered, this pocketable HD has you covered, for less than the cost of dinner and drinks at a nice restaurant. The XBOX One S is a great deal at $200. Folks without a gaming PC can catch up on XBOX One exclusives they missed, like Forza, Halo, and the Gears of War series. 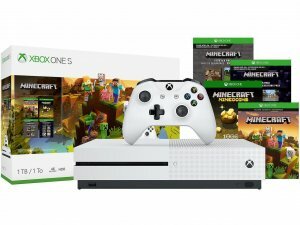 And of course, this bundle comes with more Minecraft than you can possibly imagine.